You probably don’t realise this, but adhesives are in your life...everywhere! In your phone, in your car, in your computer, in your fridge, in the machinery that made your fridge, in my house alongside the glitter. In fact I have glitter glue, glow in the dark glue...I could go on. We’re just starting to work with a global player in the adhesive market and I’ve fast been getting my head around the complexity and enormity of the adhesives market. All this talk of glue got me thinking. We’re increasingly engaging with businesses that want to connect the dots between their Social Selling program and their Content Marketing team. It struck me that the answer is glue! Historically the funnel had clear territories. Marketing fills the top with leads and, at some point, there is a handover zone where Marketing pass over qualified leads to Sales. However, one function’s “qualified” isn’t always in agreement with another’s. Hence, the handover zone can easily become more of a “squabble zone”, with leads being batted back and forth. As buyers are journeying through their decision-making process more online, sales are simply left out of the process. According to “The Data Driven Sales Team: Why Social Selling Works” 75% of B2B buyers are influenced by information found on social media. Buyers are looking more to peers and social networks before they engage directly with organisations. However, buyers are looking for credible and authentic content that adds value to their journey by answering their issues...and who knows the issues better than anyone else? Sales. Peter Ostrow and Andrew Moravite highlighted in the “Social Selling with Content” report that “While social sellers, especially those using content, function much like their peers in marketing, marketing too are thinking more like sellers in terms of revenue, won/lost opportunities and overall sales efficiency”. In short, it's time for Sales and Marketing to get cosy. Marketing is getting involved further down the funnel than ever before, increasingly KPI’d on won and booked deals that they either generate, influence or accelerate. Sales is moving up the funnel towards a space typically managed by Marketing. By optimising their professional brands online, they become trusted experts in their field of specialism through content and social media. How fast different adhesives cure is a key criterion for industrial users. It’s the same for Social Selling. According to LinkedIn, there are now between 3.1 to 4.6 additional groups inside a company influencing the purchase process. Deal cycles are longer. When Sales and Marketing combine customer insight with content expertise, you create a formula for best-in-class inbound. Deals cure more quickly. Buyers are educated and informed about the topics they care about by you. The trust has already been established and before the buyer speaks to your sales team. 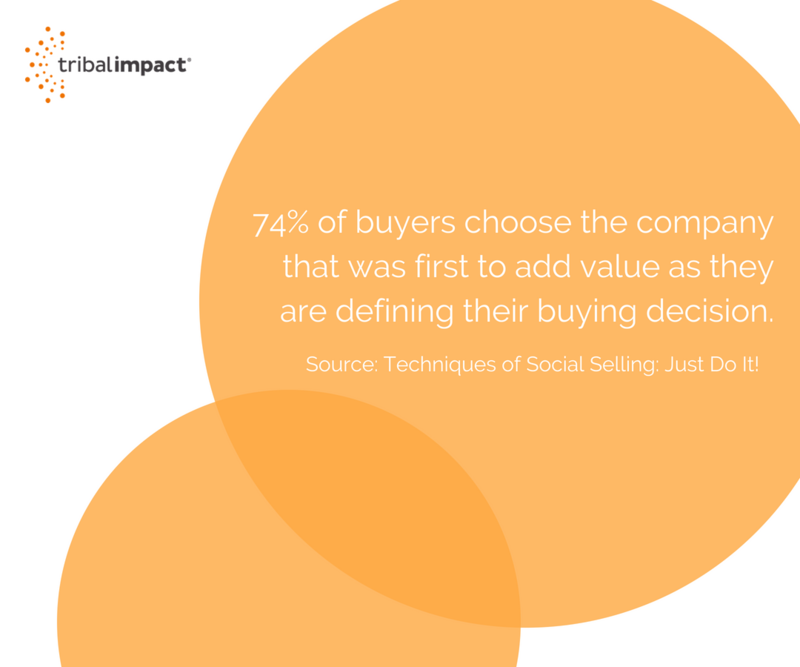 You move beyond Social Selling to an inbound business. Nobody wants to use buckets of glue if a couple of drops of a good quality adhesive will do the trick. The same is true of content. Flooding social media streams with low-quality content will not resonate well with customers and can often turn them away from your brand. Fewer, high-quality, informative pieces focusing on customer pains and how they can be solved will demonstrate your expertise and build brand loyalty. Finally, when you go to the effort of fixing something, you don’t really want to be fixing it again a couple of days later. Use a poor or inappropriate adhesive and that’s what can happen. You should look at content in the same way. Why spend time repeatedly creating content to say the same thing? You could spend a little longer in the first instance and create some great evergreen content which can help engage and convert customers for months, or even years, to come. Marketing are typically the custodians of the brand and customer journey. They understand how to engage audiences online by mapping their buyer journey to trigger points that content can support. Sales understand buyer in intent, their motivations and issues. They provide the intelligence needed to forge strong customer relationships and discover influencers within the customer landscape. Provide quality imagery and photos that support the brand message and gives sales content to optimise their profiles online. Support sales to optimise their profiles with keywords and keyword phrases that will serve to strengthen the overall SEO strategy. Create customer-centric paragraphs for each area of the business so that sales can add into their profile summaries. Offer to support sales it optimise their social profiles on LinkedIn and Twitter. Curate industry related content from reputable sources and make them available to the sales team to support their Social Selling mission to become trusted experts online. Consider retargeting paid social spend towards accounts that sales are trying to gain traction with using targeted ads to introduce the account manager to specific customer profiles. Build processes to track the progress on inbound to your website so you can track the inbound traffic driven by sales and the conversion ratio against alternative inbound sources. Share social listening trends and insights so that sales are informed the next time they meet their customer. Support sales to craft InMail messages to target accounts around events. InMails are one of the most underutilised features of LinkedIn Sales Navigator so get the best out of them. Gain insight into the most commonly asked questions at customer meetings. These questions form the basis for great content. If your customers are asking, many more are searching the same question online. Understand which LinkedIn Groups sales operate in and align your marketing activities to support their efforts. To support the above objective, help Sales understand how they can take external sources of content and inspire discussions on social media around it. Cutting through that noise will become a serious priority for marketing in the coming years. Discovering how to differentiate and stand out from the crowd. The answer? Content that resonates. 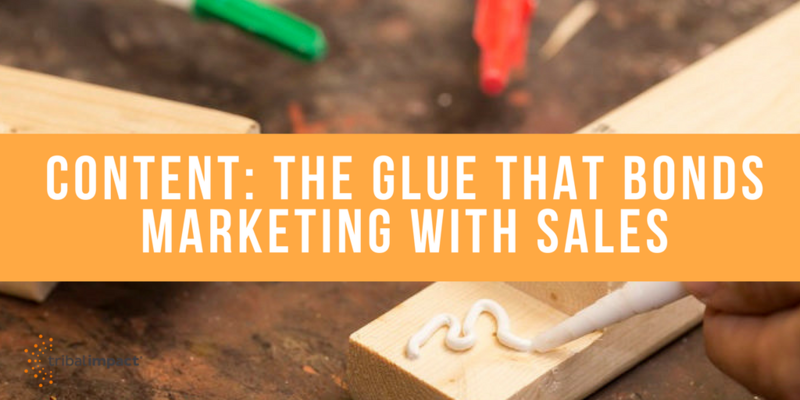 Until sales and marketing understand how to align and combine their Social Business journey, we’ll experience isolated pockets of innovation, possibly duplication of effort and most probably confusion in the marketplace.